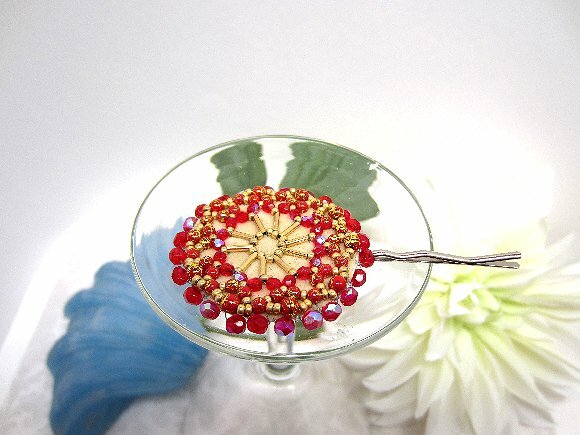 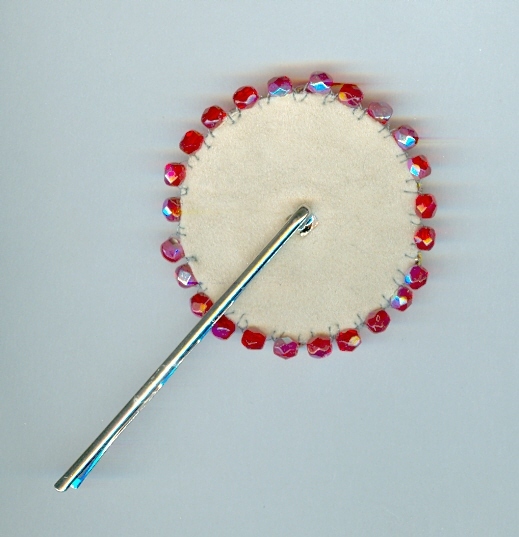 It measures about 1-7/8" in diameter and features BRIGHT red faceted glass and gold plate glass seed and bugle beads. 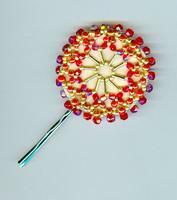 The ornament is securely affixed to a sturdy hair pin that's nearly 2-1/2" long. This is the second such hair pin I've made. 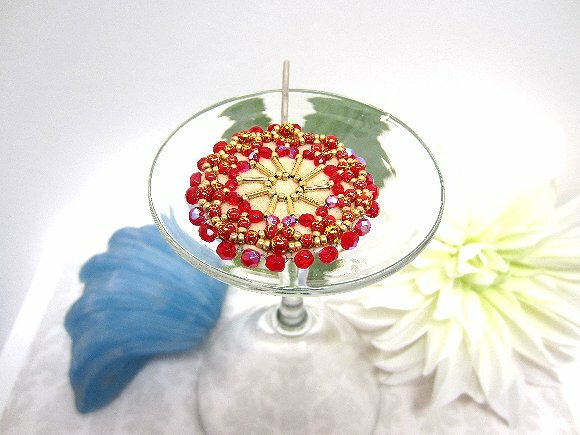 The first was made for a friend at the Lunar New Year, when red and gold are considered especially auspicious colors. She's yet to win the lottery this year, but it's early days yet. Styled for beauty, made to last and priced to please: that's our motto at SPARKLE PLENTY.